What has changed for women in Australia since the 1970s? It’s a question explored by artist Kate Blackmore in her film The Woman and the Car, a work that looks at motherhood, mobility, film and feminism through the prism of Margaret Dodd’s 1982 short This Woman is Not a Car. The film’s World Premiere is part of the Art on Screen trilogy at this year’s Adelaide Film Festival. Tickets are available now. Dodd’s short This Woman is Not a Car, released in 1982, is a nightmarish exploration of what it means to be a woman in the context of the ‘Australian Dream’. 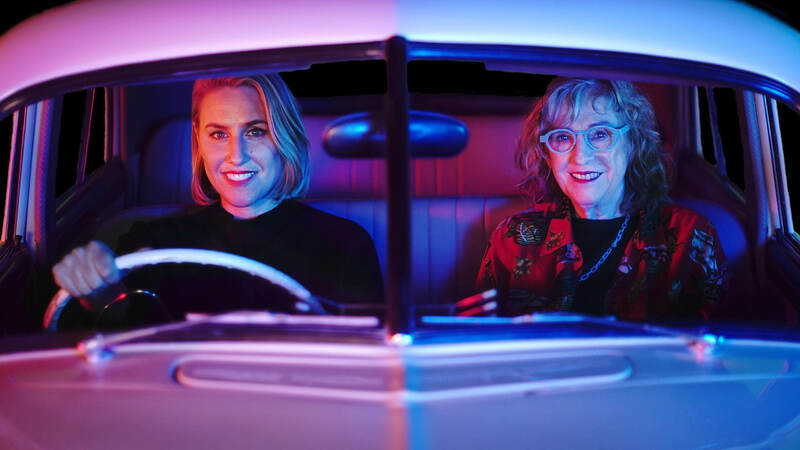 It follows a young woman isolated in every sense of the word; depressed, she decides one day to drive her children from the outer Adelaide suburbs in which they live to a distant beach. The short takes a surreal turn when she stops at a rural service station to fill her car with petrol. The title of the film, This Woman is Not a Car, says it all; but the men she encounters don’t see it that way. In a sequence where memory, imagination and reality fuse, the woman is assaulted by car-fetishists. The work has been described as ‘suburban melodrama meets horror road movie’, and it comments unapologetically on fetishism, masculinity and violence. In The Woman and the Car, Dodd talks to Blackmore while sitting in a Holden FX. She tells Blackmore and her friends about her desire to own a car in the 1960s, and how owning one was a form of liberation not often realised. 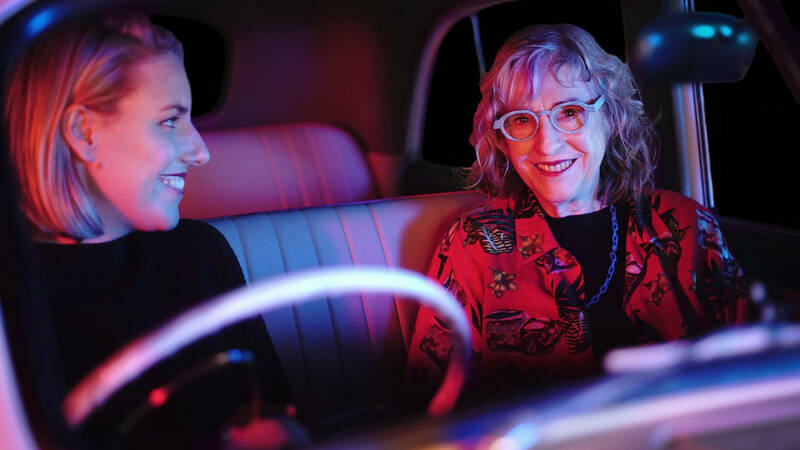 While arguably a gendered experience, driving offers a level of independence to those who did not historically have access to it, or for which independence was limited. And the relationship between car ownership, mobility and – ultimately – liberation, is still relevant today: just a couple of months ago, women in Saudi Arabia legally drove in the country for the first time – after over three decades of activism leading up to it. 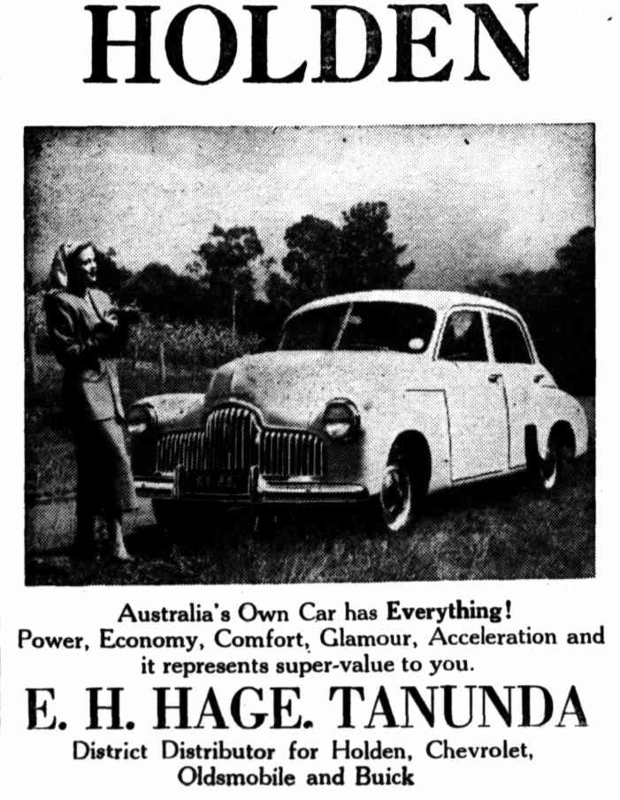 The national identity of Australia has undoubtedly been shaped by the presence of the car. The Woman and the Car features interviews with Holden enthusiasts and those who used to work in the factory, as well as a car procession at Adelaide’s only remaining drive-in cinema. Blackmore and Dodd’s conversation is intercut with footage of Adelaide in the 1970s, during Holden’s golden era: in just a few years during that decade, it celebrated 25 years of continuous sales leadership, introduced its most popular car – the Commodore – and announced a $300 million expansion program. It’s a far cry from the present, when the last vehicle rolling off Holden’s production line – marking the end of Australian car manufacturing – is still fresh in people’s minds. Should we be nostalgic? Did the car change the way we see ourselves, or what it means to be a woman? The Woman and the Car considers a unique perspective on a topic close to the hearts of Australians. The Woman and the Car is part of the Art on Screen Trilogy with The Goatman & The Art of the Game. Tickets are available now.